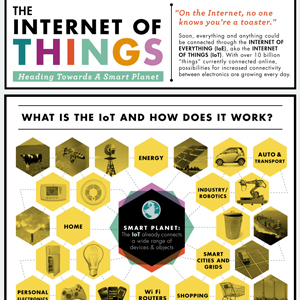 “On the Internet, no one knows you’re a toaster.” That might be what people say when the Internet of Things (IoT) — aka, Internet of Everything (IoE) — has widespread use, instead of just the 10 billion “things” that are currently connected online. When that time comes, anything and everything could be connected. While only a fraction of connected things fall into the familiar categories of web servers, home Wi-Fi routers, smart phones, tablets game consoles, camera, there are a growing number of such things, including sensors for home automation. We have a look at the numbers surrounding the IoT. 1999 – The term “Internet of Things” coined by Kevin Ashton. Home automation sensors (for thermostats, smoke detectors, light bulbs, refrigerators, washing machines, water sprinklers) for smart homes and smart buildings; smart factories; smart cars; smart grids for smart cities. Other devices /things; solar panels, cars, trucks, shipping vessels, first aid kits, windmills, industrial robots. Even insects, cows and other animals have been fitted for wireless sensors that transmit a variety of data — either location or environmental conditions. Sensors range in functionality, including detecting changes in temperature, pressure, humidity, movement and more. Other places we’ll already find smart sensors: contact lenses (GoogleX project), parking spaces, trash systems, and stores — amongst many other things. Not all of IoT things are directly connected to the Internet. Some things, such as sensors, communicate wirelessly to each other (M2M — machine-to-machine) over a localized network, and to some sort of base device which is Internet-connected. Other forms of IoT communication include M2P / P2M (machine-to-person / person-to-machine) and P2P (in this case person-to-person, not peer-to-peer). Wireless communication technologies for non-autonomous things (such as sensors) include RFiD, NFC, Wi-Fi, BLE (Bluetooth Low Energy), XBee, Zigbee, Wireless M-Bus, amongst others. To able to communicate via the Internet requires an IP (Internet Protocol) address to uniquely identify each thing. The older IPv4 (Internet Protocol version 4) system that most computers and older smartphones and tablets use is limited to identifying a maximum of about 4.3 billion addresses. The world is running out of IPv4 addresses, thanks primarily due to the increased use of 4G smartphones and tablets. Some parts of the world have already run out of IPv4 addresses: Europe, the Middle East and parts of Central Asia in 2012; the rest of Asian in 2011. The U.S., Canada and the Caribbean will run out in early Jan 2015. A new system for Internet addresses, IPv6 (version 6) had its World IPv6 Launch Day on Jun 6, 2012, with cellular providers making the largest push. Addresses under IPv6 are much longer, and the maximum number of unique addresses for this system is approximately 3.4×10^38 (34 followed by 37 zeros). Cisco estimates that that is equivalent to about 100 IPv6 addresses for every atom on Earth — meaning we’re unlikely to run out of IPv6 addresses any time soon. As suggested by numerous reports and white papers by both big players and analysts, the market potential for IoT/ IoE is in the trillions of dollars globally per year and growing. If you want to read in more depth about market forecasts, visit http://postscapes.com/internet-of-things-market-size/. 25 billion autonomous Internet-connected devices by 2015. 31B-50B such devices by 2020, depending on the source. 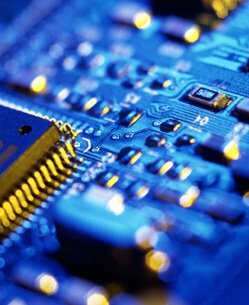 100B processors shipped, cumulative by 2020, which can process information and communicate the data (via any of several networking technologies). 200B overall connected things (including those that connect to a local M2M network but not directly to the Internet) by 2020. 1.5B vehicles worldwide by 2020, excluding railway vehicles (streetcars, trams, etc.). 3B utility meters by 2020. $4.8 trillion was the global IoT market (technology and services, gross revenue) for 2012. $8.9T is the expected market for 2020 — a CAGR (Compound Annual Growth Rate) of 7.9%. 96% said their companies would be using IoT in some way within the next 3 years. 76% of companies represented are currently exploring IoT internally (operations, processes) and 74% externally (products, services). 68% said that their companies are already investing budgets in the IoT. 17% are using IoT externally (products, services) or about to do so. $1.2T was available for 2013 alone, but approximately $544B was “left on the table,” according to Cisco. $2.5T — Asset utilization, to reduce costs. $2.5T — Employee productivity, for labor efficiency. $2.7T — Supply chain logistics, to eliminate waste. $3.7T — Customer experience, to increase customer base. $3.0T — Innovation, to reduce time to market. $1.95T total value at stake — Smart factories. $1.95T — Connected marketing and advertising. E.g., through location-based services, viral marketing and mobile advertising. $635B — Connected gaming and entertainment. $347B — Connected commercial ground vehicles. $106B — Connected healthcare and patient monitoring. $78B – Connected private college education. At the time of the Cisco publication (2013), over 99% (99.4%) of devices that might one day be connected are currently not connected. Which means only about 10B “things” of 1.5T globally are currently connected, but that number is growing. Big Data will be an important of managing the IoT, since connected things will generate data for the purposes of analysis. Similarly, Cloud Computing (in the general sense, which includes cloud data storage) will be another important aspect of managing the IoT. In Jan 2014, Google announced they were purchasing Nest, a maker of home automation sensor devices — in this case, a smart thermostat and smoke detector, both of which can be controlled by an Apple iOS mobile app. $3.2B cash for 3 year-old startup Nest. $150M financing for Nest earlier in Jan 2014, on a valuation of $2B. $80M financing for Nest in Jan 2013, on a valuation of $800M. CEO Tony Fadell and engineering head Matt Rogers will continue to run Nest. Both are former Apple employees — Fadell former SVP of the iPhone and iPod division, and Rogers an engineer. Nest has 2 patent lawsuits filed against them, one by Honeywell (Feb 2012), the other by BRK (Nov 2013). Google was said to be trialling their own smart thermostat in 2013, which might explain their purchase of Nest. Nest claimed only 40-50K smart thermostat units moved monthly as of Jan 2014. With less than 1% of U.S. households (about 1M units) using Nest controllers, Google paid a huge multiple on Nest’s 12-month trailing revenue — estimated as high as 320 times. Possible reasons for the purchase include: gaining access to home automation data to help build citywide smart grids, and for the potential in integrating these sensors with home automation robots. (Google purchased 8 robotics companies in 2013, the last being Boston Dynamics, makers of creature bots such as Little Dog, Big Dog, WildCat and others. Of course, Google had relatively easy access, as Nest was invested in by VC branch Google Ventures. Nest board member Bill Maris was also a partner at Google Ventures. Nest is the 4th Google Ventures-funded company that Google has acquired: Makani Power, Milk, Bufferbox, Nest, in that order. A number of telecoms and cable companies, including AT&T and Comcast/ Xfinity are working on their own home automation systems. Apple was apparently not in the picture of companies looking to purchase Nest, despite the key Nest executives being former employees. For Apple, there’s possibly more opportunity in the connected-marketing space, using their iBeacon geofencing technology, which is being rolled out to at least 100 American Eagle Outfitters retail stores in the USA as of Jan 2014. Apple started rolling out iBeacon use to 254 U.S. Apple stores in Dec 2013. Where there’s a way, there’s a will? IoT devices have already been used for cyber attacks, to send spam over email. Proofpoint.com published a report in Jan 2014 about a series of cyber attacks. About 100K email messages per cyber attack campaign and 3 campaigns per day were conducted from Dec 23, 2013 through Jan 6, 2014. Over 750K email messages were sent in total in that period. No device sent more than 10 email messages. 450K IP addresses were involved, of which over 100K (over 25%) were IoT devices — or “Thingbots,” as Proofpoint calls them. Other cyber attack devices included game consoles, multi-media centers, televisions and set-top boxes, and one or more refrigerators — all Internet-connected. Homing devices for animals are nothing new, but the technologies now being used are smaller, more efficient, and have new abilities, including creating a connected network. Current uses of wireless sensors include cows and bees. Not robotic insects but actual honeybees with attached sensors, these two creatures to the potential “thing” list of the Internet of Things. 1/3 of global food crops are pollinated by honeybees. Honeybees are going through “colony collapse disorder” and dying in large numbers annually — by as much 22-36% population loss in some years. 5,000 bees were each fitted with a tiny RFiD chip by Australian agency CSIRO (Commonwealth Scientific and Industrial Research Organization). The intent is that, since bees are habitual in their daily schedule, being able to track their movements may lead to answers about what is disrupting their populations. The chips, which are said not have an impact on bee flight, are about 2.5mm square (or less than 1/10 inch square). 2.5 mm square — the size of the bee chips. This is less than 1/10 inch square. 1mm square — the next gen of these chips, for use on smaller insects. On the other end of the size spectrum are net-connected cows. Dutch startup Sparked has created a wireless sensor that farmers can use to monitor cows. Each cow’s wireless sensor is expected to generate about 200 megabytes of data per year.